Bubble wrap. You can't help yourself. It's like your packages all come lined with crack cocaine. You just have to get your hands on it and pop pop pop until the sadness overcomes you when you realize that there are no more buttons to pop. 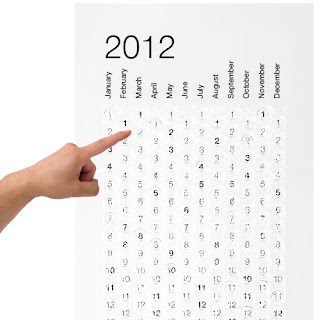 Well this calendar is just for you. Now, you might be the most hated or the most kewl person in the office with one of these. And let's face it, if you are anything like me with bubble wrap, you will never know what day it is because all of the bubbles will be popped immediately. However, it is an adorable idea and would make a fun stocking stuffer. The question is, can you stop yourself at just one bubble per day?